A new mobile gaming app is hoping to bring the destructive combat of ‘Robot Wars’ to the streets around us – without anyone having to get their hands dirty. 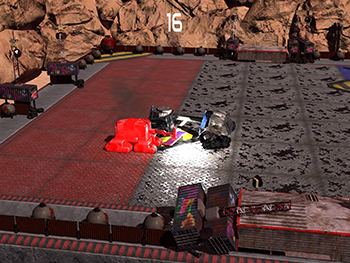 Developed by undergraduate students from the New Technology Institute, ‘Xtreme Robot Destruction Micro’ – uses geo-tagging technology to unlock arenas set in digital versions of real world locations. 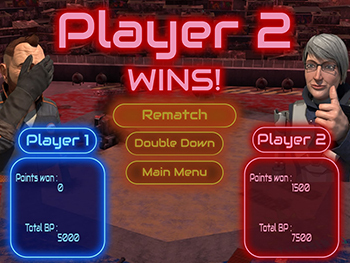 Players seek out opponents to take on robots in an apocalyptic, augmented reality future. At the game’s official launch back in 2017, the 'micro' version featured two iconic Birmingham locations; The Parkside Building, at the heart of the University’s City Centre Campus, and one of Europe’s largest inner-city shopping centres, the Bullring. 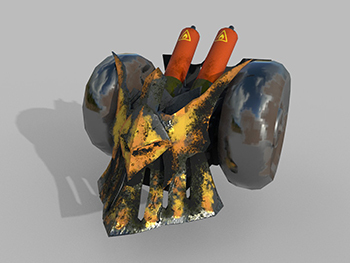 Alongside the 'micro' version, postgraduate NTI students also developed a PlayStation 4 version – ‘Xtreme Robot Destruction’ – as part of their studies. Fifty students spent three months on the PlayStation 4 game, with the 'micro' version being delivered in just six weeks. To put this into context, most console games within the industry are developed in 12 to 24 months, with three to six months devoted to gaming apps on average. Collaborating across various disciplines, I have grown so much as a professional throughout this course, and now we have two fantastic products we are all really proud of. Students showcased both versions of the game to gaming industry VIP's and marketing professionals, including representatives from Chapter, Codemasters, Microsoft Rare, NaturalMotion and Playground Games. The industry leaders also led a roundtable event, where various issues affecting the contemporary games profession were discussed.